New Trailer Drops for Stephen King and J.J. Abram's "Castle Rock" - Horror News Network - The Horror News You Need! The new trailer for Stephen King and J.J. Abram’s Hulu series Castle Rock hit the internets yesterday and wow…so creepy. Creepiness aside, the trailer manages to pull off something that you don’t often get with trailers these days: it gives you nothing. You get some sick imagery, a little bit about an unknown boy being discovered at Shawshank prison, you see that the boy is played by Bill Skarsgård (who may be scarier without the Pennywise make-up) and you get that something big is coming but we don’t know what – and that’s awesome! Too many trailers these days show you their whole hand and leave nothing to the imagination and there’s nothing worse than knowing how something will play out, or seeing all the best scenes before even seeing the film. 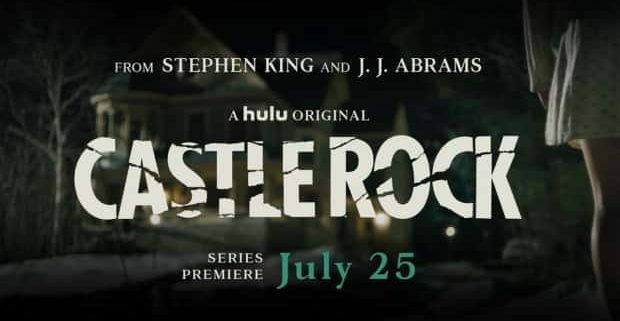 Castle Rock drops on Hulu on July 25th so watch the trailer below, read the official synopsis below that and get ready to be scared by the minds of the masterful King and Abrams. Synopsis: “Castle Rock” is “a psychological-horror series set in the Stephen King multiverse” and “is an original story that combines the mythological scale and intimate character storytelling of King’s best-loved works, weaving an epic saga of darkness and light, played out on a few square miles of Maine woodland.” And that synopsis is no joke, because early marketing has shown off depictions of some of King’s most well-known locales, including both Shawshank State Prison and Juniper Hill Asylum. https://www.horrornewsnetwork.net/wp-content/uploads/2018/07/castle-rock.jpg 348 620 Larry Dwyer http://www.horrornewsnetwork.net/wp-content/uploads/2016/05/HNN-logo.jpg Larry Dwyer2018-07-11 11:42:332018-07-11 11:43:24New Trailer Drops for Stephen King and J.J. Abram's "Castle Rock"